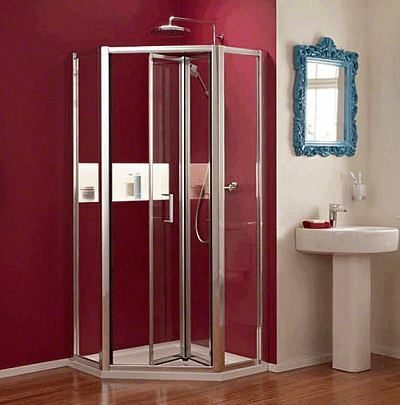 Mira Beam Pentagon shower enclosure is suitable for corner installation. The frame pack must be purchased as part of a two part kit to which a door type (either 900 bi-fold or pivot) must be added to complete the unit. All Mira Beam shower doors, shower panels and frame packs are fully compatible with the Mira Flight range of shower trays. The pentagon shower enclosure boasts minimalist styling, perfect when space is limited. Panel pack only for use with pivot or bi-fold 900mm doors.